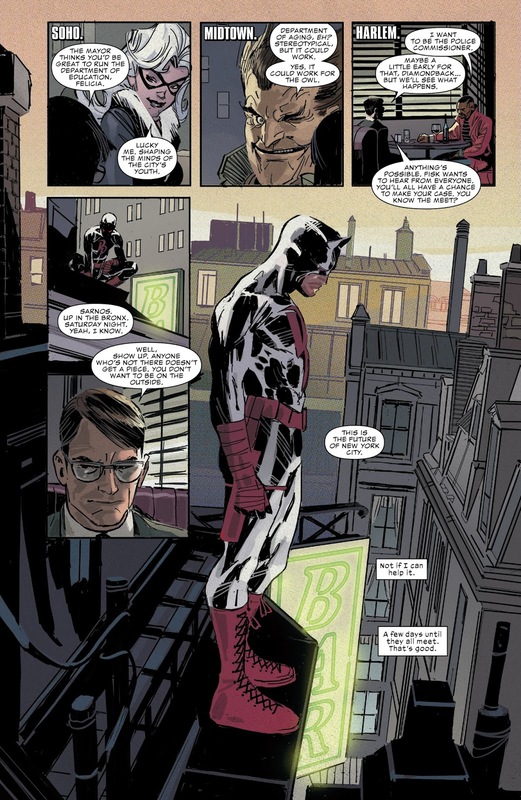 Nick Spencer had his take on Trump’s America in Secret Empire and now Charles Soule holds the mirror up to our current national nightmare in Daredevil 598. Wilson Fisk is the mayor of New York City and like Trump, he’s planning on making America great again…for the bad guys. 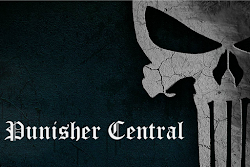 As Fisk’s Deputy Mayor, Matt Murdock is trying to destroy the the beast from within. He’s neglecting his actual work — which seems considerable — to eavesdrop on Kingpin’s machinations to take down the city’s superheroes. As someone who can be guilty of neglecting work…I am very concerned for Matt’s workload you guys. He has to memorize all these policy changes and it’s making me nervous! Ron Garney dresses Matt in his black long underwear as he follows Fisk’s manservant Wesley around the city to see what Fisk is up to. Just as Trump stacked his cabinet with the worst, least qualified people for the job, Fisk is offering positions to the crime bosses of New York’s underworld. Hammerhead, The Owl, Diamondback, and Black Cat are all propositioned for positions in Kingpin’s plan for New York City, with Black Cat in the Betsy Devos role as “unqualified Department of Education representative.” I’m all for this political allegory but I’ve got to wonder…aren’t all these people known criminals? I guess anything’s possible in the terrible world of politics. The more devious aspect of Kingpin’s mayoral debut is how he plans to handle Muse. 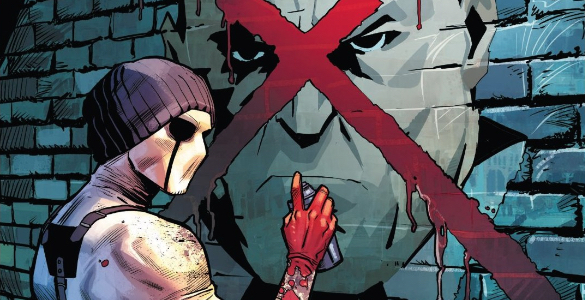 The psycho killer artist is back, this time trolling Kingpin’s anti-vigilante stance in his artwork. 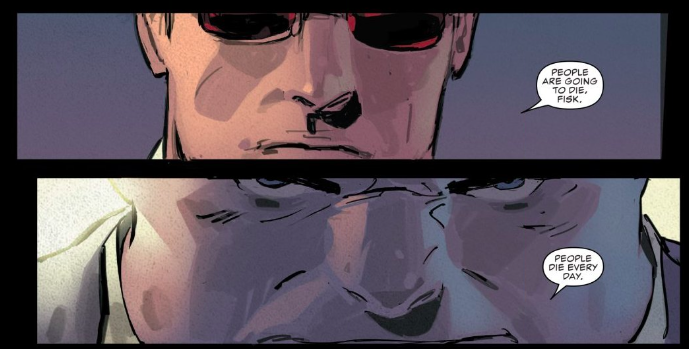 Matt pleads to Fisk to handle this dangerous villain with care, but it’s clear that Fisk has every intention of using Muse’s inevitable body count in his cause. These days, politicizing deaths to stoke fear in the public is the American way, after all.